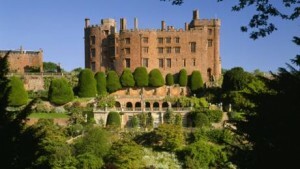 Plenty to see and do for the Festive period at Powis Castle, Welshpool . 20th November 7pm Christmas Pudding Evening. Enjoy a light meal before judging 6 festive desserts. £24.95 per person Booking Essential 01938 551927. 27-29th November,4-6and 11-13 December Illuminated Garden 5-8.30pm(last entry7.30pm) Brighten up those dark winter nights with a stroll around our spectacular illuminated formal gardens, terraces and courtyard.